Governor Abdullahi Ganduje of Kano State says his administration considers youth development as an integral component of empowerment and social integration. He said this on Friday during the swearing in ceremony of the National Youth Service Corps (NYSC) members for their three weeks orientation course in Kusalla,Karaye Local Government Area. 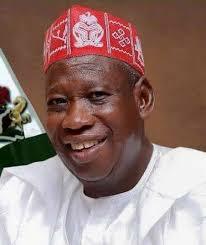 Ganduje, represented by the State’s Commissioner for Information, Mr Mohammed Garba said this has made the administration to be steadfast and supportive to all youth programmes for growth and stability. “We are resolved to continue supporting the NYSC scheme in the state for the development of common ties among Nigerian youths, promoting national unity, integration and development,” he said. The governor admonished the corps members to be hard working and dedicated to their assignments throughout their stay in the camp and during the service year. “You should be open minded to learn more and show commitment to surpass achievements of your predecessors. “It is the practice of the government to reward hard working corps members who excel at the end of every service year,” he advised. Earlier in his speech, the NYSC Coordinator in the state, Alhaji Ladan Baba, said 2,137 corps members were posted to the state for the 2017 Batch ‘A’ Stream II service year. According to him, a total of 993 males and 1,144 female corps members have so far registered. He commended the corps members for adopting to the camp environment and conducting themselves in a very responsible manner since arrival. Baba appreciated the state government for embarking on general renovation of the camp and the donation of 2,000 plastic chairs and 750 mattresses during the last camping exercise.